If you live here in Sterling, then Red Dog’s Roofing is your local source for roofing services, including installations, repairs, and replacements. We work on both commercial and residential roofs, and we work with most roofing materials that you’ll find here on homes and buildings in Sterling. If you’re ready to get started, you can give us a call to schedule an appointment. You can also continue reading to learn more about our various roofing services (and additional services that we provide), as well as the roofing materials that we work with. Count on Red Dog’s Roof for a reliable roof above your head! Whether you’re a residential developer, a homeowner, or a business owner, you can trust that are crew will install a roof that is built to last. We have years of experience working in the area, providing new roof builds for commercial and residential properties. We’ll work with you and other contractors on your build project to make sure that your roof is built right, built on time, and backed by the Red Dog name. Whether you have a shingle roof that is missing a few shingles or you have a no-slope roof that is at the end of its life, you can call on us for repairs and replacements. We can assess the integrity of your current roof, and we’ll let you know if you need a few repairs, or a whole-roof replacement. 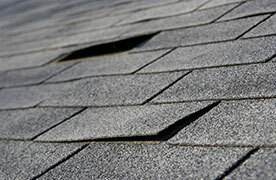 We can also work with your insurer if your roof is insured against damage. We strive to make our repairs and roof replacements affordable, so you get lasting protection and value that you won’t find from other roofing installers. As we mentioned, we work with all sorts of roofing materials for homes here in Sterling. We can install, repair, or replace asphalt shingle roofs, wood shake roofs, metal roofs, slate tile roofs, and composite slate roofing. Here’s a bit more information about each of those materials. Red Dog’s Roofing has partnered with Owens Corning®, a premier asphalt shingle manufacturer, to provide unparalleled warranties for roofs that we install. As an Owens Corning Preferred Contractor, we can back your roof with a limited lifetime warranty (depending on the type of shingle used), and we also provide a warranty that covers our workmanship. You can trust that your roof will last for years on end, and should anything happen, you’ll be protected. 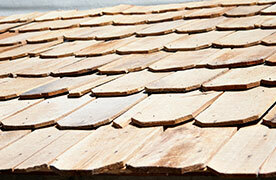 Wood shakes are another popular choice for residents here in Sterling, since these roofs look great and perform well. However, wood shakes will weather and discolor over time, and eventually they may come loose or crack. We can install a brand new wood shake roof over your head, or we can replace any shakes that have endured too much wear and tear. 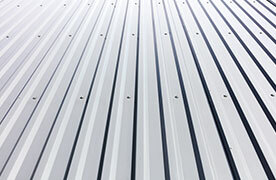 Metal roofing is valued for its durability and versatile applications. If you’d like to have this long-lasting roof material installed, we’d be happy to tack sheets of metal to your roof. We can also install an underlayment and insulator to provide further protection, better sound dampening, and better insulation for your roof. Of course, we can also replace metal roofing sections if any of your roof sheets are damaged throughout their lifetime. 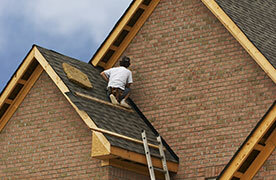 We also provide shingle repairs and whole-roof tear-offs and replacements. If you’ve noticed that your shingles are discolored (which means that you have mold or you’ve lost granules), or if you have torn or missing shingles, then your roof may no longer be waterproof. Let us take a look and perform any necessary repairs or a whole-roof replacement. Slate tile roofs are often considered the best roofing material because of their unmatched durability (some tiles have been known to last a century or more!) and their natural aesthetic. However, slate tile roofs require extra care during installations and repairs, and your roof will have to have adequate support structure for this heavy roofing material. We’re experienced and well-equipped to tackle roof repairs and installations for slate tile roofs. 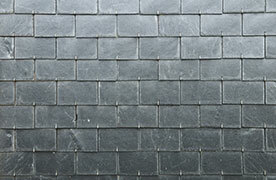 Composite slate looks just as good as the real stuff, yet it’s a fraction of the cost. If you like the look of slate tiles, but you don’t have the budget or a supportive roof structure for real slate, then this will prove to be an excellent option. 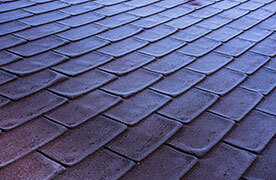 We can also replace any composite slate tiles that have become damaged in storms or due to regular wear and tear. If you have a low- or no-slope roof atop your building, we can provide all the roofing services you could need. Red Dog’s Roofing offers commercial roofing services for business owners in Sterling and the surrounding area. We work with a litany of roofing materials, including TPO roofing, PVC roofing, rubber roofs, torch down roofs, modified bitumen roofing, and roof coating. We understand that your roof protects your assets and operations. 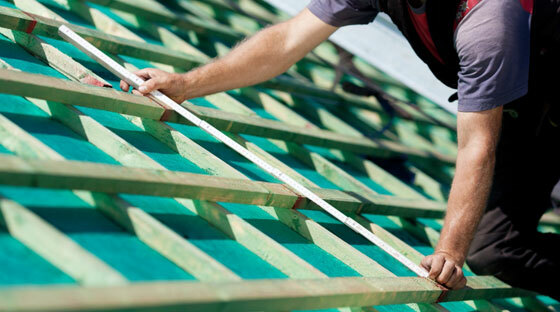 We’ll make sure your roof is installed properly and well-maintained so that you don’t have any unforeseen expenses. On top of our traditional roofing services, we also provide weatherproofing, chimney repair, and roof snow removal services. Your chimney endures as much weather as every other component of your roof. And over time, you could be left with crumbling bricks, a rusted chimney cap, or poor flashing, which could lead to roof leaks. Don’t fret. We can make your chimney whole once again. We offer a variety of chimney repair services, including flashing installation, tuckpointing, chimney cap replacement, chimney crown building, and more. Feel free to learn more about our chimney repair services. With a heavy snowfall, your roof can end up supporting tons of snow — literally. What’s worse is that ice dams can form on your roof (thanks to snow melting and refreezing), which can damage your roof and lead to leaks. If you have a roof that has accumulated several inches of snow, we recommend that you hire a professional crew to remove the snow. Don’t attempt roof snow removal yourself — it can prove dangerous. Instead, give us a call. Feel free to learn more about our roof snow removal services. Ready to put a Red Dog’s roof over your head? We’re eager to help. 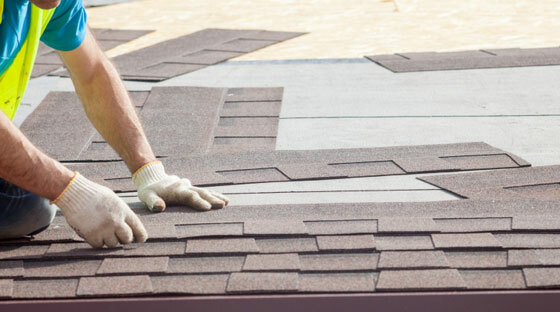 Again, we provide all of the roofing services that you could need, from replacing a few shingles on your home to tearing off and replacing a flat roof over your business. Reach out to us today to schedule an appointment for your needs.